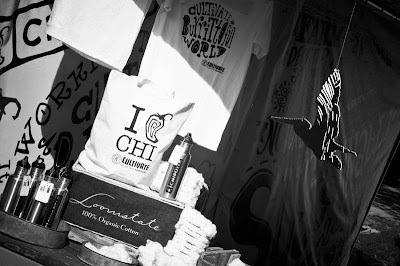 Cultivate was a blast!!! 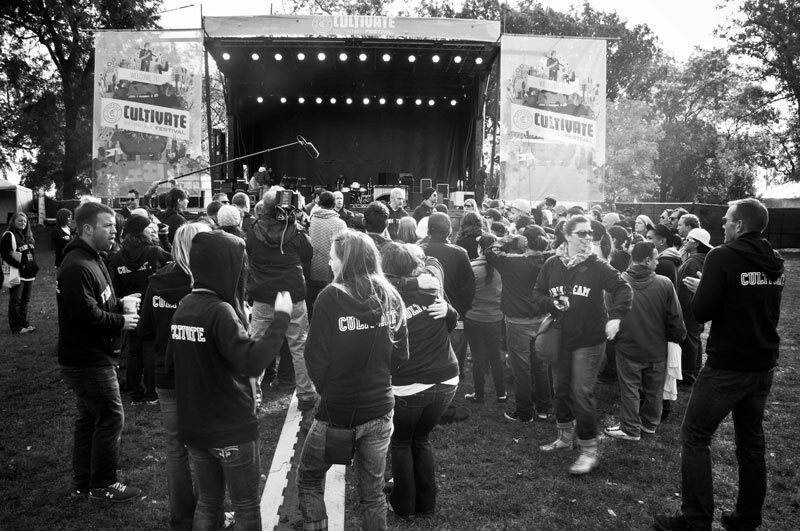 Thank you to everyone who came to hang out and jam to music with us. We were busy from day to night and we had so much fun with old friends and meeting new fans. Our team got to Chicago on Friday to set up the Loomstate / Textiles / Merch booth. 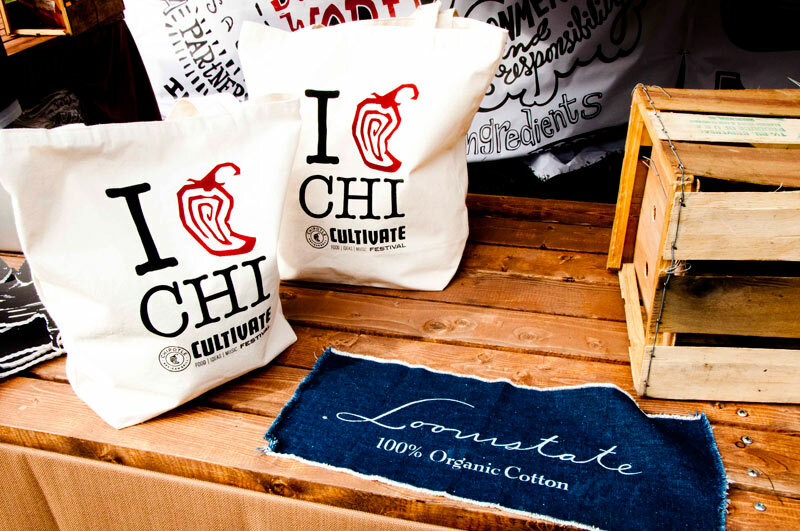 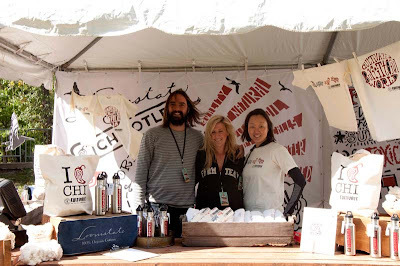 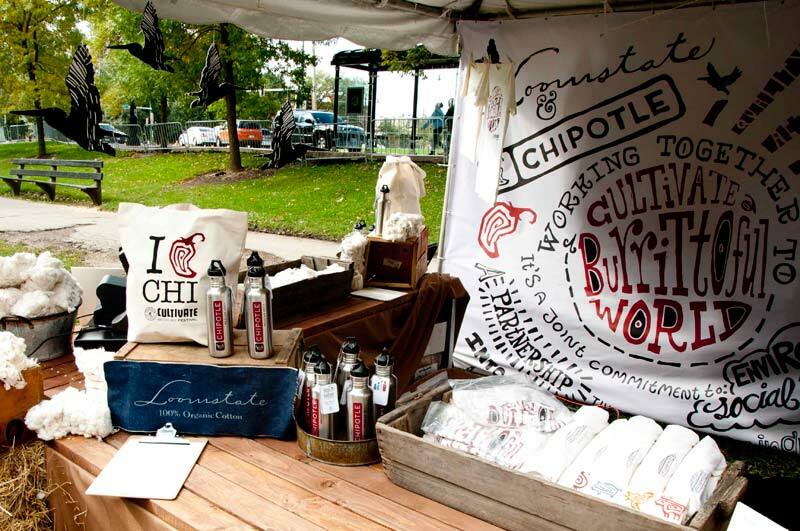 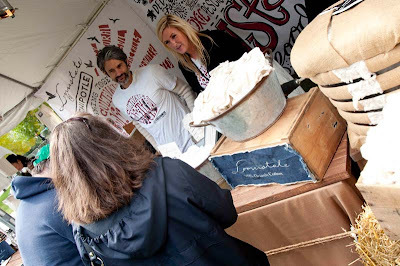 We had exclusive Cultivate products for sale, but we also set up a farm-to-finish area where attendees could learn about organic cotton farming, sewing and screen printing. By the end of Friday, we were ready for the crowd. 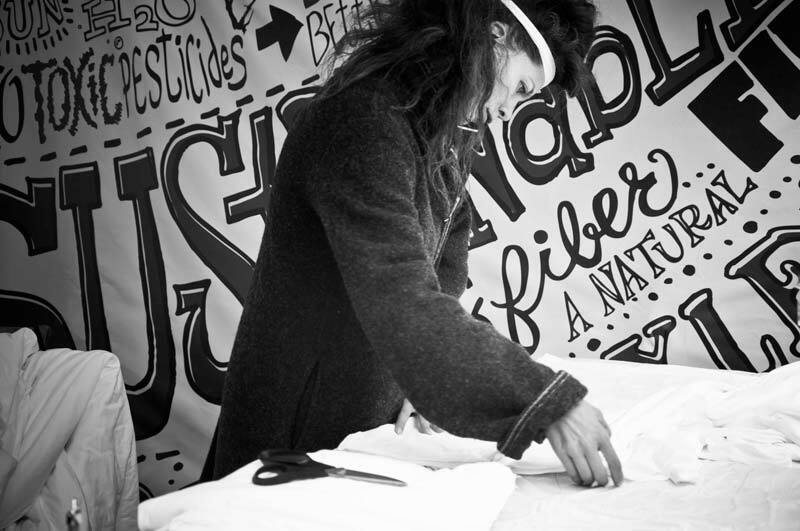 We had our friend Lika make tees on the spot before having our screen printer put graphics on them. 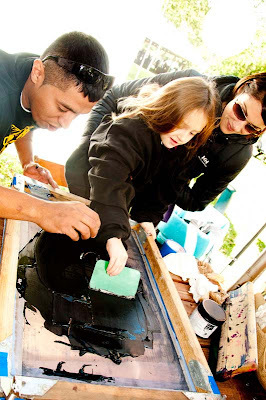 Some active fans even got hands-on and took on screen printing themselves! Loomstate Co-founder Scott Mackinlay-Hahn talked organic cotton with attendees. 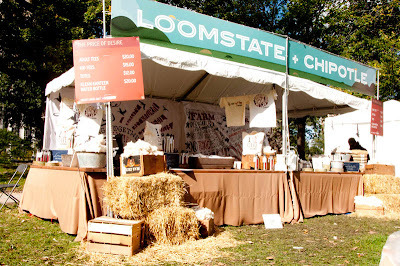 The Loomstate Cultivate team who worked tirelessly to set up the fun Loomstate booth. We'll be back soon, Chicago. 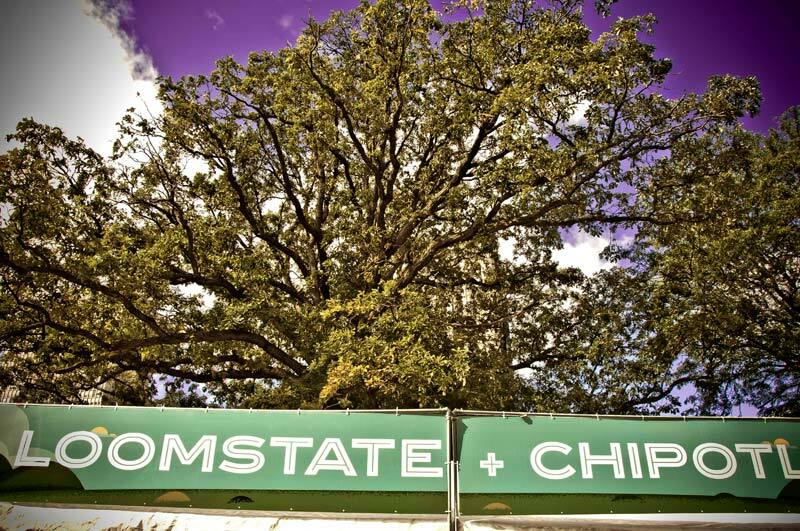 Thank you for a great time! All images by Loomstate staff Ramon.